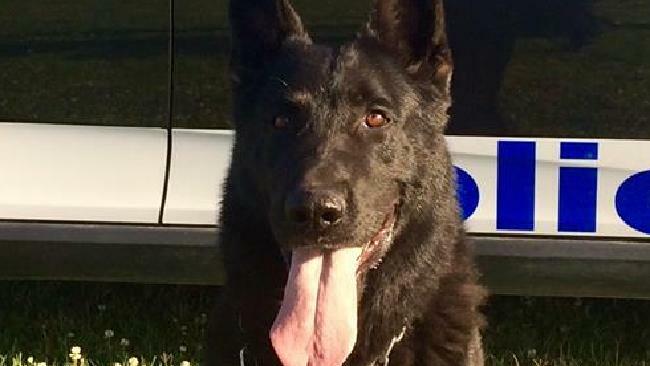 A BRAVE police dog who doesn't know when to quit collapsed after chasing two men for more than three kilometres after an alleged break and enter. The dog, PD Kane, is recovering at the vet after the chase in Newcastle on Saturday night. Kane tracked two men to bushland after they allegedly tried to climb through the window of an elderly man's house. Police will allege in court an 84-year-old man was in his home on Stayton Street, Adamstown Heights, when two men allegedly attempted to climb through a window at about 11.30pm. 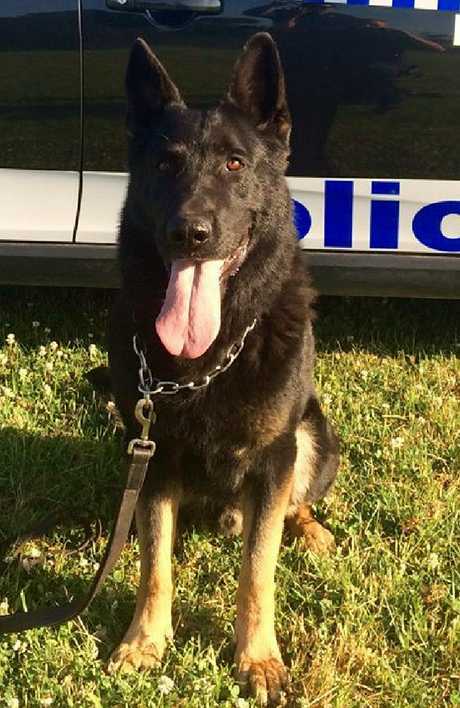 Police Dog Kane and his handler tracked the men, who fled the house, to nearby bushland. 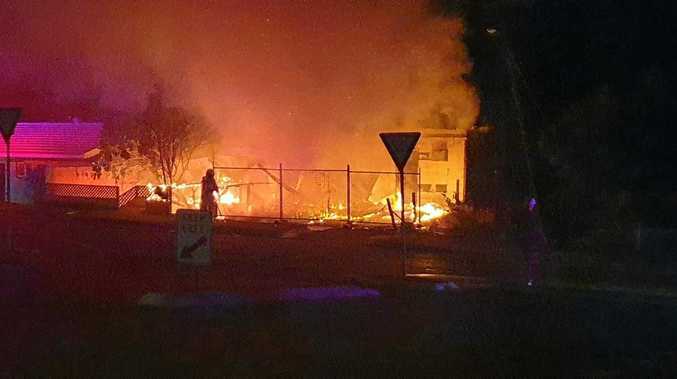 The senior constable and PD Kane contained the two men, aged 22 and 27, before both were arrested and taken to the Mater Hospital for treatment. A short time later PD Kane collapsed and was taken to a veterinary clinic in a serious condition. He is currently still receiving treatment and a police spokesman said that Kane had "improved significantly" during the day today. Brave Kane has been swamped with well-wishes via the NSW Police Facebook page. Meanwhile, the 27-year-old man was taken to Newcastle Police Station where he was charged with break and enter with intent, enter enclosed lands, resist arrest, goods in custody and possess house breaking implements. He was refused bail and is due to appear at Newcastle Local Court today (Sunday 18 March 2018). The 22-year-old man is expected to be charged upon release from hospital.